With 570 entries from around the world, a number that surpassed all expectations, the 4th International Poster Contest by the Museum of Typography was completed. The winners of the contest will be unveiled on Saturday, June 23, 2018 at 7:30 pm. in an event devoted to typography, at the amphitheater of the Museum. 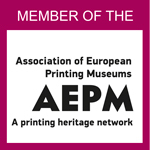 The first three winners will receive important prizes (1000 euros first, 700 euros second and 500 euros third), the 30 best posters selected by the jury will be presented in the exhibition and their creators will receive honorary distinctions. Greetings will be addressed by the members of the jury (alphabetically) Dimitris Arvanitis, Graphic Designer, member of AG I – Alliance Graphique Internationale, Yiannis Garedakis, journalist – publisher, founder of the newspaper “Haniotika nea” and chairman of the Museum of Typography, Lila Kalogeri, illustrator, Antonis Papantonopoulos, printer, graphic designer, collaborator of MT, Tzanetos Petropouleas, designer, former chairman of the Graphic Designers Association of Greece. The sixth member of the committee, Juan Diego Restrepo, graphic designer, winner of the 3rd poster contest, will not be able to attend the event. This year’s entries come from professionals, students and amateurs of graphic arts from 51 countries, literally from every part of the world: Azerbaijan, Egypt, Algeria, Argentina, Australia, Vietnam, Bosnia, Herzegovina, France, Germany, Georgia, Ecuador, Australia, Canada, China, Kyrgyzstan, Cuba, Cyprus, Latvia, Belarus, Lebanon, Lithuania, Malaysia, Mexico, South Africa, Zimbabwe, United Kingdom, USA, Japan, Netherlands, Hungary, Ukrane, Palestine, Poland, Portugal, Romania, Russia, Serbia, Slovakia, Taiwan, Turkey, Czech Republic, Tunisia, Yemen, Finland. And of course, from every corner of Greece: Athens, Veria, Volos, Drama, Heraklion, Thessaloniki, Ioannina, Kavala, Kastoria, Kozani, Larissa, Patras, Preveza, Chania. The distinguished posters will be exhibited at the Museum of Typography for approximately a year until the next contest. 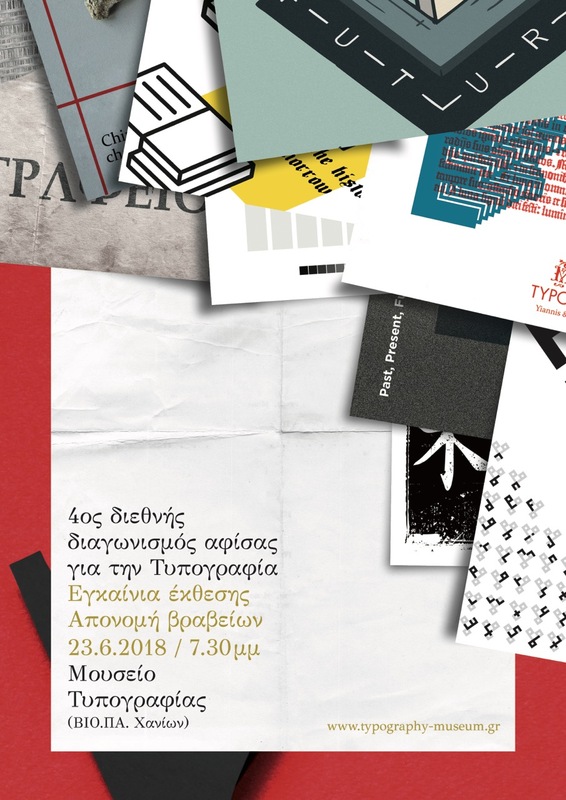 After the event, the names of the winners will be announced from the museum’s website www.typography-museum.gr, the Museum’s facebook page, the “Haniotika news” newspaper and the website of the sponsors of the contest. The international poster contest organized by the Museum of Typography is an institution that began in 2014.